How will students know their PIN number? on his or her school identification card and student schedule. Each student will be assigned a unique number. In addition, the student’s picture is displayed on the register monitor when the PIN number is entered, permitting instant visual identification of students by cafeteria workers. What can students buy with the account? Student may purchase anything that is sold in the cafeteria. How can money be added to the account? A check payable to Shawsheen Valley Technical High School can be given to the cafeteria manager at the beginning of each lunch. The entire amount of the check must be applied to the account; change will not be given from a check. There will be a charge of $25 for all returned checks. A check can also be mailed to Mr. Robert Roach, Director of Food Services, Shawsheen Valley Technical High School, 100 Cook Street; Billerica, MA 01821. Please allow two business days for the funds to become available for use in the student’s account. The student’s name and PIN number must be written on the check. How much money can be entered into the account? Although we encourage $50.00 a month, a minimum check of $12.50 will be accepted. Is money remaining in the account refunded at the end of the school year? No. Money remains in the account for use during the following year. An account will be refunded only if the student graduates or withdraws from the school. Can anyone—such as a brother or sister—use a student’s cafeteria account? No. Only the person to whom the account has been assigned may use the account. Can students continue to pay cash? Yes. The cashier may take cash, but this will slow down service because all students must enter their PIN numbers whether or not they have money in their accounts. How does the system work for students who are receiving free or reduced lunch? The procedure is identical for these students. Can a parent/guardian add money to a student’s account electronically? Yes. 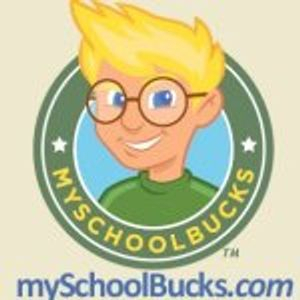 Shawsheen Valley Technical High School is using mySchoolBucks as our on-line portal to apply money to your child’s breakfast/lunch account as well as to monitor account balances and meal participation history on-line. Adding funds to your child’s account is easy. To find out more information, simply go to the school’s Web site On-Line Payment. Shawsheen Technical High School is now offering the https://www.myschoolbucks.com/ to all of our parents and students. With this service participants can monitor meal account balances and meal participation history on line. There is no charge for using this service to check account balances and history. Next, make a payment. The deposit amount can be placed against a credit card, debit card or your checking account. All payments are securely processed using our highly secure website and encryption. All payments are quickly credited to your students account.By creating a secure online account, deposits can be made to student lunch accounts by debit or credit card. You can also set up automatic recurring payments to student accounts. A fee for $2.00 per transaction is charged by myLunchMoney for this service. Cash and checks will still be acceptable forms of payment at School cafeterias or the Food Service Office.